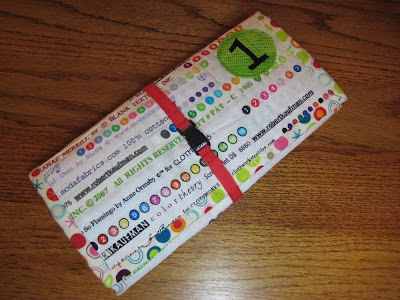 And of course, if anyone needs an organizer and doesn't want to sew one, I have a few in my Etsy shop! How convenient, right? Great little Christmas gift for you or your Mom or best friend, whomever! OK, I'm done, thanks for putting up with me again! Editing to say- I removed the tutorial as I now have the pattern for sale in my shop and didn't think it was fair to sell it to some people and give it away to others. Sorry for the inconvenience, hope you understand. 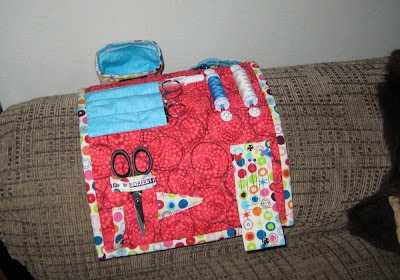 I love your tute (also found through Sew Mama Sew =)) - all of my sewing bits have to be kept inside ziplock bags even while I'm using them to keep furry mitts off! Your Nosey Parker is just to die for cute! OOOOH! Big congratulations!! You deserve it!! This looks like an awesome gift idea! hugs!! But really...that is just awesome! Actually, Leah- you sent me over to find a new-to-me place that I found very fun, so thanks a lot for that! I bookmarked it, too!